Longtime couple Janet Jackson and Jermaine Dupri have been together since 2002, but Dupri was noticeably absent from Michael Jackson's public memorial on July 7. Now Us Weekly is reporting the two have parted ways. Sources tell the mag, "They have been moving in different directions for a while." The two are rumored to be polar opposites. 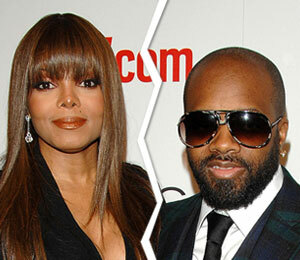 A source says, "Jermaine likes to be out there, mingling with everybody, and Janet's more shy." Jermaine, 36, has produced numerous songs on Janet's, 43, last two albums. The two were even rumored to have tied the knot in 2008. Jackson is currently mourning the death of her older brother. An insider tells Us Weekly, "She's devastated" and caring for Michael's children.